and are preparing a national referendum to reverse this decision. sets in motion final approval from Congress to pursue drilling. ITT fields would put their lives and livelihoods at risk. 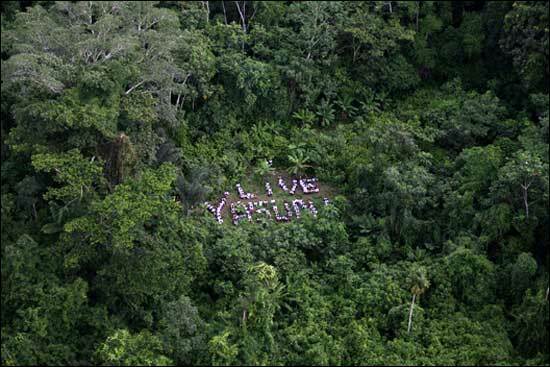 Amazonwatch – We won’t stop fighting! Four hundred chiefs and warriors of the Mebengokre (Kayapo) people met between June 3rd and 5th 2013 in the village of Kokraimoro on the Xingu River in the Kayapo Indigenous Territory, Para state, to discuss serious threats to indigenous rights that are being considered by the Brazilian government. On this World Environment Day, Amazon Watch couldn’t be more proud to celebrate our fearless founder and leader Atossa Soltani who has just been named the 2013 Global Hillary Leadership Laureate. From a global watch-list on leaders in mid-career whose leadership is exceptional and inspirational, the Institute’s international board, the Hillary Summit selected Atossa as its 5th Annual Hillary Laureate awardee for Leadership in Climate Equity. Former Hillary global Laureates are Jeremy Leggett (UK-2009), Peggy Liu (China-2010), Aimee Christensen (USA-2011) and President Anote Tong (Kiribati-2012). We’ve posted an Op-Ed written by Hillary Institute Executive Director Mark Prain, which appeared in Christchurch, New Zealand’s The Press. Imagine you were the head of Chevron. In the first couple years since you took over the company its reputation has been continually tarnished by your own actions as well as environmental and human rights crimes. Would you expect to keep your job? Your company lost a $19 billion legal battle for intentionally polluting rainforest communities in Ecuador. Amidst criticism of a poor safety record, your California refinery finally blew up, sending 15,000 to the hospital and bringing on a criminal investigation into your practices there. All of Chevron’s assets in Argentina were frozen, and it now faces the loss of billions in several other nations due to enforcement efforts. Chevron spilled over 100,000 gallons of crude off the coast of Brazil, costing millions in fines and inviting billions in additional suits. Your company was exposed as the largest corporate SuperPAC contributor, accused of buying politicians and now in danger of FEC sanctions for violating government regulations. And now Chevron is under harsh criticism for launching unprecedented legal attacks against your own shareholders, environmental and human rights groups. If your board were actually evaluating your performance – you’d be fired. Well, Chevron CEO John Watson has done all that and worse. To learn more about the many reasons Chevron CEO John Watson should be fired, please visit the True Cost of Chevon website. 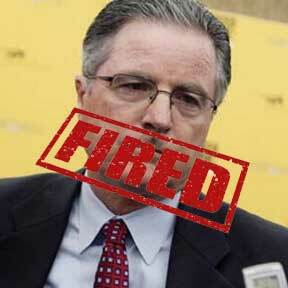 Tell the board to do their duty and hand Watson his pink slip. 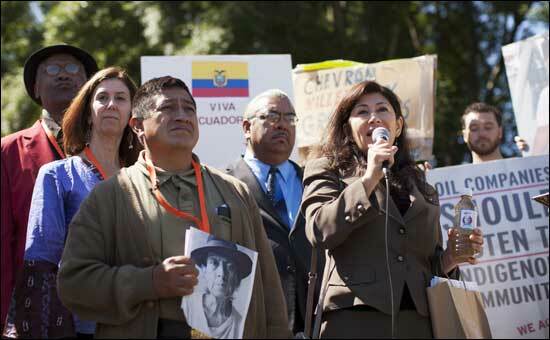 For the communities in Ecuador and for so many other reasons, it’s time for Watson to go! One week ago a group of indigenous warriors, riverine communities and fishermen united to occupy the main construction site of the Belo Monte dam. Brave indigenous groups remain strong on the front lines and today they have been surrounded by military pressuring them to leave. Yesterday the group released a worldwide call for support to maintain and grow the occupation. This includes a plea for international organizations to back them with infrastructure and access to have their message heard around the world. We need your financial support to help meet their call. “Today we write for those who support us. We write for those who trust in our struggle and agree with our view. We are people who live in the rivers where dams are being built. We are Munduruku, Juruna, Kayapo, Xipaya, Kuruaya, Asurini, Parakanã, Arara, fishermen and riverine. The river is our supermarket. Our ancestors are older than Jesus Christ. Support is needed urgently for food, travel, communications and legal advice to keep the occupation alive. Amazon Watch continues to stand with our indigenous partners and to pressure the government of Brazil as communities are requesting. Together we will ensure that the people of the Xingu are heard and that their legitimate authority over their lands and culture is recognized. 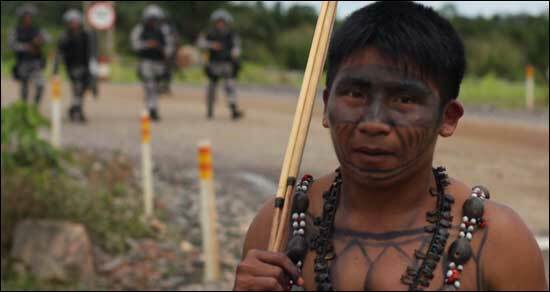 Help us to keep up our support for those on the front lines of Belo Monte construction and with indigenous peoples fighting for their lands throughout the Amazon. Please give and give generously to meet these urgent needs today. 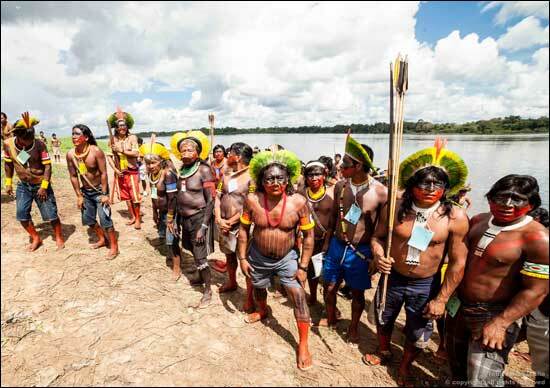 Dams on the Amazon – Enough is Enough! 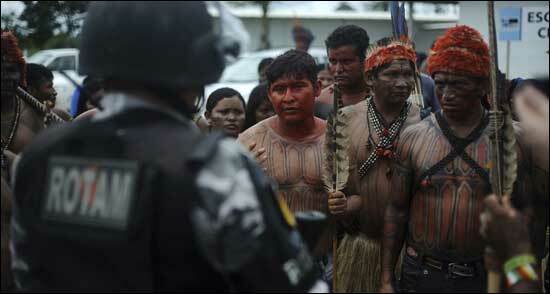 Last week Brazil and the world witnessed a historic moment of unity and struggle for the Amazon and its people. Some 200 indigenous peoples, riverine communities and fishermen joined at the Pimental construction site of the Belo Monte dam where they continue to occupy the area. They did not come to hold discussions with the construction consortium; they want their agenda to he heard by the Brazilian Federal Government. The group’s demands are straightforward: To clearly define the regulation of prior and informed consultation of indigenous peoples and to immediately suspend all work and studies related to dams on the rivers where they live. One wonders if there is a government in Australia. From recent news reports of what the Japanese whalers are doing in Australian waters there appears to be total lack of any substantial government response to stop the slaughter and theft of Australian natural resources. Why are Japanese whalers permitted to poach in Australian waters? How can a US Court issue orders to Sea Shepherd to stop its operations against the Japanese poachers in Australian waters when the ships and the branch of the society involved are registered in Australia? Japan orders Australian flagged Sea Shepherd ships to leave Australian waters! Yoshimasa Hayashi, Japan’s fisheries minister, has stated: “So why don’t we at least agree to disagree? We have this culture, and you don’t have that culture.” Okay this sounds fine. Now all those against the bloody slaughter of whales and dolphins on Taiji Island will descend on the island and stop the slaughter because it is their culture. Hayashi it works both ways my friend! What is sickening is the Australian government’s inaction. It would appear that they are in connivance with the whalers to loot the natural resources of Australia. And while the US Court issues its orders, the Australian government remains castrated. What a shame that all self respecting Australians have no say in the matter. BTW: Japanese whalers are slaughtering whales in the Southern Ocean Whale Sanctuary. I think they are confused about the meaning of the word “sanctuary”!